CRIME, GUNS, AND VIDEOTAPE: McCain’s Presidential Hopes May Be Doomed! It seems that the New York Times has revealed our good Senator from Arizona was born in the Panama Canal Zone! Our Constitution requires that in order to become our President you must be born in the United States. It makes no difference that he was born to an American citizen and was automatically a citizen. It would take a Constitutional Amendment to allow this Left leaning, pretend Republican. It his age McCain will never live to see that happen. Perhaps it’s back to the drawing board for Republicans for a viable candidate. The not quite so clear qualifications are listed here. There are certain requirements for his parents to have met. I hate McCain, probably more than you but this stuff that the NY Times is throwing out there is beyond belief. 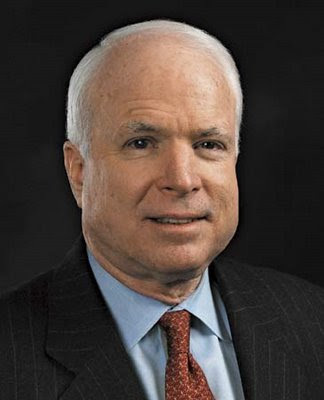 So, McCain is a natural-born citizen of the United States because both of his parents were US citizens at the time he was born. B. Hussein Obama only had one parent who was an US citizen. His father was until his dying day a Kenyan National. All bringing this crap up does is first shows how stupid the New York Times and those on the Left are for not knowing the basic rules of US citizenship.